Frank Zappa - Apostrophe(') 40th Anniversary Vinyl Reissue. 2014 marks the 40th anniversary of ‘Apostrophe (‘)’ by Frank Zappa and to mark the event The Zappa Family Trust / Universal is to reissue the album on 180-gram audiophile vinyl cut directly from the original quarter-inch stereo analogue master tapes. The album has been remastered for vinyl by Chris Bellman at Bernie Grundman Mastering and is manufactured for the world by the highly regarded Pallas Group in Germany. 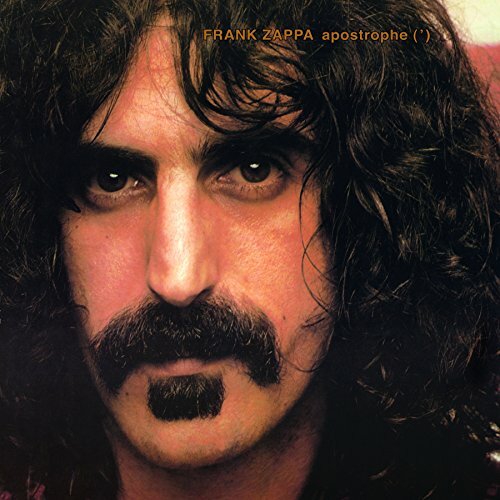 ‘Apostrophe (‘)’ is considered by many to be the most accessible of the Zappa albums for its ability to mix superb musicianship, storytelling and the renowned Zappa wit. Classic tracks such as ‘Don’t Eat The Yellow Snow’ have become known outside the Zappa universe to a far wider audience. The Zappa Family Trust, headed by Gail Zappa, the widow of the late guitarist regained control of the Zappa catalogue in 2012. They embarked on a reissue programme that has seen remastered vinyl for such titles as ‘Over-Nite Sensation’ and ‘Freak Out!’ which have received positive reviews / discussion on audiophile websites. The 40th anniversary reissue will be released on October 20th, 2014.